"These simple guidelines can help you avoid pain and keep your back and neck in good shape." "The cracks in the disc don't repair themselves, but the pain usually fades over time. 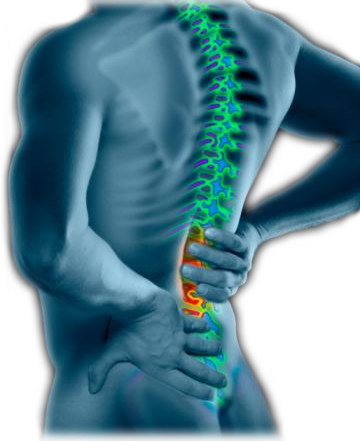 More than half of the people who have a herniated disc recover in the first 3 months. Free fragment. Fragments of a ruptured disc may break completely free of the disc and lodge in the spinal canal camera.gif. Any of these stages can cause pressure on a nerve root and symptoms of pain and numbness." Click here to watch the DTS video found on our homepage. Author: Evergreen Marketing Group, Inc.
1. Every treatment is unique to you and your condition. Due to the specificity of active release technique, your treatment plan will be completely individualized. Through a comprehensive history and exam, an active release provider will personalize a treatment plan that fits your needs. ART®uses movement of the patient to create tension on the scar tissue. Every session combines an examination and treatment, which targets the soft tissues that has been injured. ART®has over 500 specific protocols that treat affected areas of the body. 2. Increase your range of motion and flexibility. When an injury occurs to a muscle, ligament, or tendon, cellular hypoxia from restricted circulation can cause fibrosis and adhesions to occur in these tissues. These adhesions can attach to muscles, nerves and lymph decreasing their ability to work properly while also reducing their range of motion and flexibility. Therefore removing these adhesions with active release technique improves glide between muscle and surrounding structures ultimately improving range of motion. 3. Reduces pain throughout the body. Injuries causing pain can occur through repetitive activities you have engaged in the past during work, sports, exercise or improper body mechanic/posture. Active release technique has been found to be an effective way to eliminate pain throughout the body. ART® focuses on breaking up unhealthy tissue that adheres to nerves which often is the main culprit of both dull and severe pain. Active release technique aims to re-establish optimal texture, resilience and function of soft tissue and effectively and permanently eliminates pain. 4. Able to help a wide variety of patients. ART® is exceptionally helpful for people living for with chronic pain syndromes, such as the elderly and younger individuals involved in physical activities, either professional or recreational. This therapy has also been approved for expecting mothers, who find relief almost immediately. In addition, anyone who has been unable to get optimal pain relief through traditional treatment options may opt for ART®. 5. Able to aid a plethora of symptoms and syndromes. Active release technique is a unique therapy that can be applied to multiple conditions including but not limited to headaches, back pain, shin splints, plantar fasciitis, jumpers knee, rotator cuff tendonosis, and Achilles tendonisis. Please come visit Dr. Trisha A. Sileo D.C. at O’Keefe Chiropractic for your Active Release Technique consultation today. Chiropractic care has typically included the care of pregnant patients to assure the patient a comfortable pregnancy and to help facilitate an uncomplicated labor and delivery. Clinical studies on chiropractic care during pregnancy found relief from back pain during pregnancy in 84% of cases. Chiropractic evaluation and treatment during pregnancy may be considered a safe and effective means of treating common musculoskeletal symptoms that affect pregnant patients. Nonsurgical spinal decompression is a type of motorized traction that may help relieve back pain. Spinal decompression works by gently stretching the spine. That changes the force and position of the spine. This change takes pressure off the spinal disks, which are gel-like cushions between the bones in your spine, by creating negative pressure in the disc. As a result, bulging or herniated disks may retract, taking pressure off nerves and other structures in your spine. This in turn, helps promote movement of water, oxygen, and nutrient-rich fluids into the disks so they can heal. Arlington, Va.— During National Chiropractic Health Month (NCHM) in October, the American Chiropractic Association (ACA) will build on its ongoing efforts to raise awareness of the value of a conservative approach to pain management in the face of the U.S. opioid epidemic with the theme and hashtag #Chiropractic1st. "Chiropractic services are an important first line of defense against pain and, in some cases, can lessen a patient's reliance on addictive painkillers or prevent their use altogether," said ACA President David Herd, DC. "It makes sense to exhaust conservative forms of treatment such as chiropractic before moving on to riskier, potentially addictive pain medications." Statistics show that as many as one in four patients who receive prescription opioids long-term for non-cancer pain in primary care settings struggles with addiction. In addition, every day more than 1,000 people are treated in the emergency room for misusing prescription opioids. Patients who had spinal fusion were less likely to return to work and needed more opiates, study says. Just a month after back surgery, Nancy Scatena was once again in excruciating pain. The medications her doctor prescribed barely took the edge off the unrelenting back aches and searing jolts down her left leg. The pain just kept intensifying, says the 52-year-old Scottsdale, Ariz., woman who suffers from spinal stenosis, a narrowing of the channel through which spinal nerves pass. I was suicidal. Finally, Scatena made an appointment with another surgeon, one whom friends had called a miracle worker. The new doctor assured her that this second operation would fix everything, and in the pain-free weeks following an operation to fuse two of her vertebrae it seemed that he was right. But then the pain came roaring back. Experts estimate that nearly 600,000 Americans opt for back operations each year. But for many like Scatena, surgery is just an empty promise, say pain management experts and some surgeons. An alternative to back surgery is DTS spinal decompression. DTS spinal decompression is a proactive and pain-free treatment that has shown a very high rate of success for the treatment of herniated discs, disc bulges, disc degeneration, spinal stenosis and sciatica.